Next review Omega Xl - Crooks! 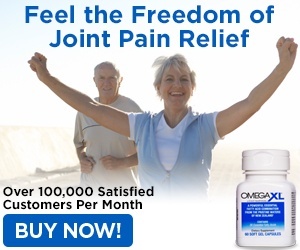 Hi everyone with OmegaXL, I want to tell you today, I am finally able to move like I did when I was young. I'm 55 years old, and experiencing aches like I never have in my life. I am a real testimony to this product and this is why; I have noticed a difference in the puffiness around my eyes. I immediately felt a cleansing of my eye membranes. I feel like the OmegaXL is helping me to move more freely and with less pain. Personally, I have experienced jobs where it put me in a toxic environment, like a Lilly farm that used chemicals to wash the bulbs, also I worked in many other toxic situations such as tile glazing materials (a room full of the dust). And, other situations that I can tell about, but not necessary. I am feeling good. Review #1015031 is a subjective opinion of User1015031.